The Home Guard were volunteers who defended the five thousand miles of Britain coastline in the event of an invasion by Germany. They were originally called the Local Defence Volunteers. Why was the Home Guard formed? On Friday 10 May 1940, the Germans had started their attack on Belgium and the Netherlands using soldiers dropped by parachutes. British troops in mainland Europe were pushed back to the Channel ports. Many people feared that the Germans would soon invade Britain. 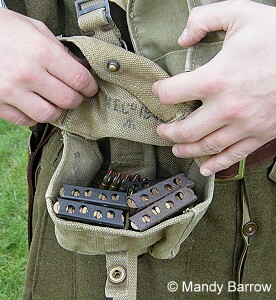 To protect Britain, a new part time force was to be set up, the Local Defence Volunteers (LDV). On the evening of Tuesday 14 May 1940, the Government made an urgent appeal on the radio to all men aged between 17 and 65. The wanted all men not already serving in the armed forces to become part-time soldiers. Within 24 hours of the radio broadcast a quarter of a million men had volunteered. By the end of July this number had risen to over a million. 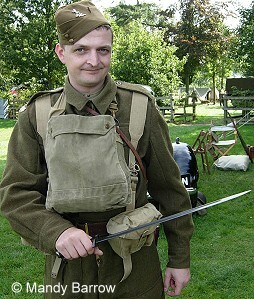 Who joined the Home Guard (Local Defence Volunteers)? Many of the men who joined the Home Guard were those who could not join the regular army because their day time jobs were necessary to keep the country running. They included farm workers, bakers, teachers, grocers, bank staff and railway workers. 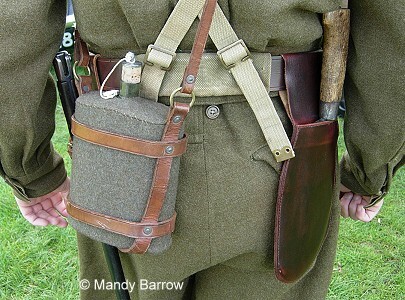 Other men who joined were either to young or too old to join the regular army. The men were given military style training and, at first, they had no uniforms and little equipment. The public were invited to give their shotguns and pistols to the Home Guard and within a few months over 20,000 weapons were handed in. Many of the men made their own weapons too. 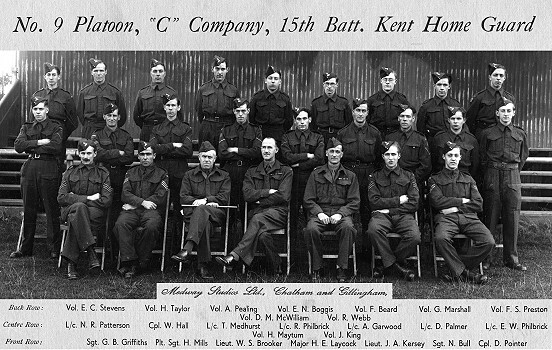 At the end of July 1940 the name was changed from Local Defence Volunteers to Home Guard. What was the job of the Home Guard? The Home Guard defended key targets like factories, explosive stores, beaches and sea fronts. At night they patrolled fields in which the enemy gliders or paratroops might land. No one expected them to beat well-trained German soldiers. Their job was to slow them down until the army arrived. The expected invasion by Germany never came. Instead the main role of the Home Guard was capturing German airmen whose planes had been shot down over Britain. They also guarded munitions factories and aerodromes and checked people's identity cards. 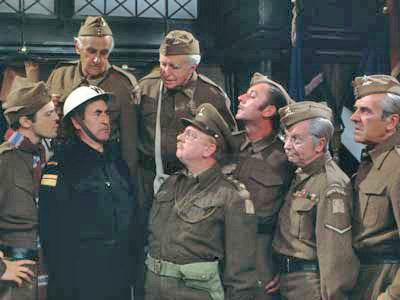 Dad’s Army is a British sitcom about the Home Guard in the Second World War, written by Jimmy Perry and David Croft and broadcast on BBC television between 1968 and 1977. Below is a screenshot of a scene from the sitcom.